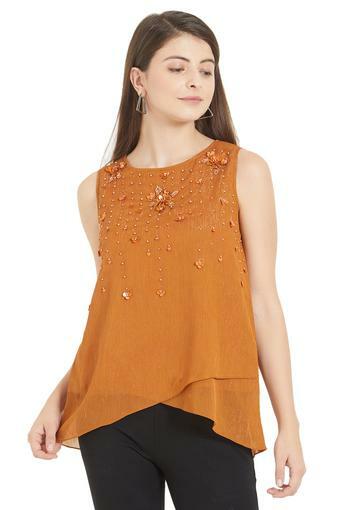 Embrace your inner rebel chic as you step out in style, wearing this top from Soie. It comes with an embellished pattern along with a round neck that renders it stylish, while the use of a polyester fabric ensures utmost comfort all day long. This top will ensure a perfect fit design. 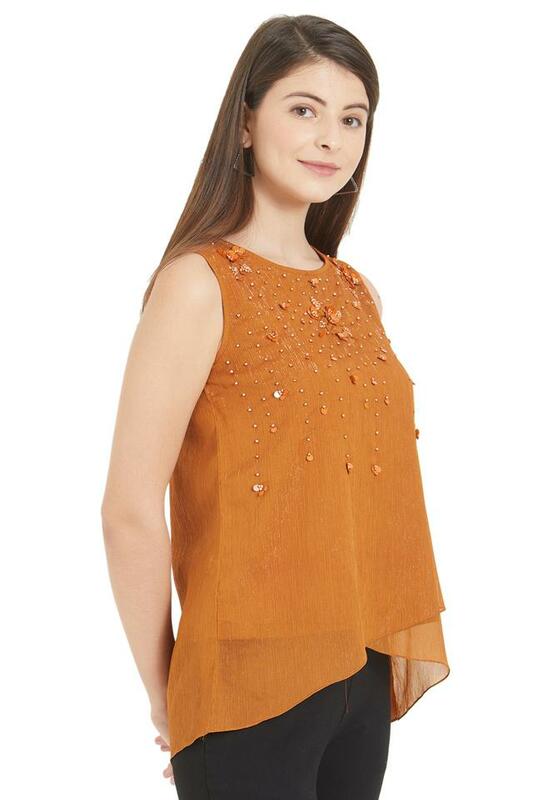 Embrace your inner rebel chic as you step out in style, wearing this top. 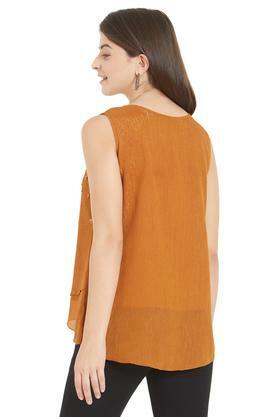 Team this top with a pair of casual pants and sandals for a chic ensemble.